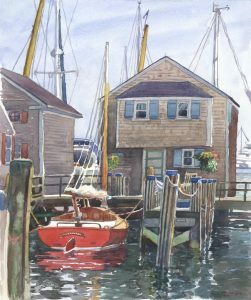 Tendered at South Wharf, a docked sailboat presented its striking red hull, slender masts and ropes, teak railways and white deck and rails; extending its form and color in the reflection. 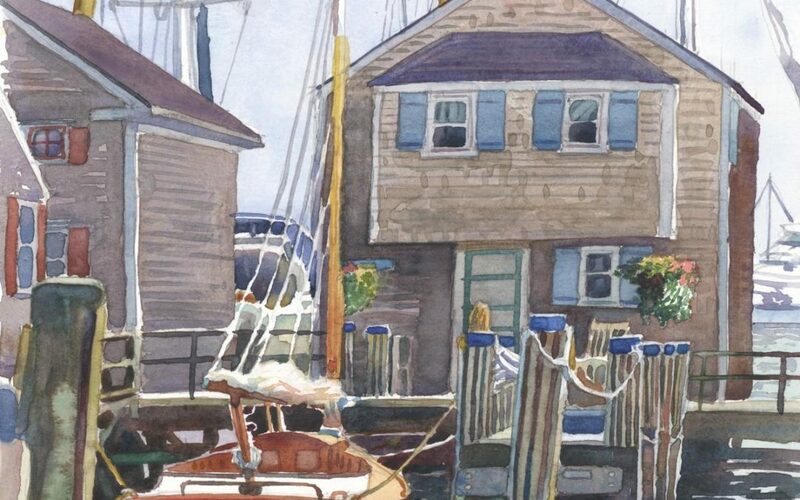 The typical waterside cottage, docks and blue striped piers immediately identify the setting as Nantucket. The light sky and muted architecture were neutral background foil for the colors of the boat and water.